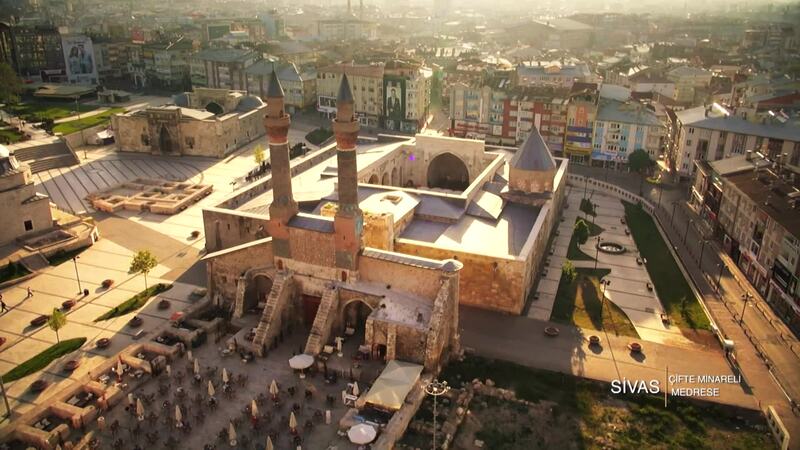 Turkey Home submitted this beautiful drone videos of one of the most iconic sites in eastern Turkey. Çifte Minareli Medrese is a 13th century school in the city of Ezurum, which is the capital of the province of the same name. It lies towards the northeastern corner of the Eastern Anatolian region, just west of the province of Kars. The school, which is associated with the daughter of a Sultan, is well recognized for its dual "minarets" which dominate its facade. Description: The Seljuk architecture of the incredible school of Çifte Minareli Medrese, or "Twin Minaret Madrasa," is simply breathtaking, and now we explore every corner from the skies! Check it out!